Throwing herself into her new life in London, Monika Suchocka had found a job and joined a choir. The 23-year-old trainee accountant had only arrived from Poland two months before the bombings. 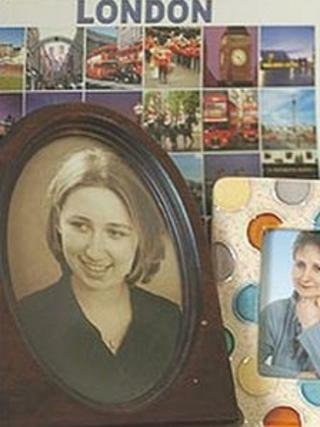 She lived in Archway with two other Polish women - friends from school and university - and on the morning of 7 July was on her way to work at an accountancy firm in West Kensington. The last contact she had with anyone was at 0840 BST, when she sent a text message to a colleague to say she was having problems on the Northern Line and would get a bus. Friends distributed posters of her in an attempt to track her down, worried she may have boarded the Number 30 bus which was ripped apart in Tavistock Square. But police later said she was killed on the Piccadilly Line Tube travelling to Russell Square, and her inquest was held with fellow victims who died in that blast. Ms Suchocka was part of a family of five with an elder brother, Marcin, and a younger brother, Maciek. She grew up in Dabrowka Malborska, in northern Poland, where her mother was a primary school head teacher and her father worked for the local authority. The book of tributes to those killed on 7 July described how she looked after her young cousins with great affection and was like a second mother to her little brother, born in 1992. Because of ill health, she did not start school until she was six years old. It was her tenacious pursuit of goals that was said to set her apart. In the tributes she was said to be "hard-working, scrupulous and reliable" and she always achieved top grades at school. After leaving school, she completed a masters degree at the Academy of Economics in Poznan. Ms Suchocka first went abroad in 2002 to study in Germany, and in summer 2003 she travelled to the United States to study English. Just two and half months before the blast, she left for her new job in London. The job was due to last until October that year, after which she would decide whether to stay in London or return to Poland. Ms Suchocka continued to indulge her love of music after settling into her new life in the city, by playing the piano and joining a choir. The book of tributes described her as "unassuming, gentle and sensitive, always ready to offer help to those in need". Friend Tracy Purdon said: "This was her first time in London and she was really enjoying the excitement of it all." Her elder brother Marcin said the siblings were in constant contact with each other, regularly sending text messages and emails. The last time they spoke was on the Sunday before 7 July. In his statement about his sister to police, he described the difficulty in accepting that Monika would never be at any future family gatherings. Three Metropolitan Police officers returned her ashes to her family in Poland.